Downtime costs businesses an average of $5,600 per minute, according to Gartner. That’s $336,000 an hour and $8,064,000 a day. These figures are averages and the cost of downtime to your business may be higher or lower, but, whatever its size, no business can afford long service outages. Disaster recovery infrastructure protects businesses from the risks and costs of outages. Servers, software, and data are replicated to a remote location. When disaster strikes the business’s primary infrastructure, failover systems route traffic to the disaster recovery location, with minimal interruption of service. In the past, effective disaster recovery was expensive, complex to deploy, and frequently unreliable. However, with modern virtualization technology, the cloud, and the availability of high-bandwidth connectivity, inexpensive and reliable disaster recovery is within reach of every business. Does your Business need a Disaster Recovery Solution? Customers can’t make purchases or access services. Revenue takes a hit for the duration of the incident. Employees can’t work if the applications, databases, and infrastructure they rely on are unavailable. Downtime affects the business’s reputation for reliability and technical competence, especially if users depend on its services for their own business. Consider how these scenarios would affect your business. First, an old power module in your data center fails catastrophically, starting a small fire. Redundant power systems immediately kick in, but some servers fail to restart. Because the functioning servers are now overloaded, the whole service performs poorly and eventually grinds to a halt. Second, a network partition leads to a database failure caused by inconsistencies in the data stored across the cluster. Because data consistency is essential to your customers, you’re forced to take the databases offline until the problem is fixed. Third, an engineer disconnects a power supply in order to safely work on non-essential hardware. When the supply is reconnected, a power surge damages servers and network equipment. These are true stories. A fire took out servers at a Delta Airlines data center, costing the company an estimated $100 million in lost revenue and damage to reputation. GitHub experienced lengthy downtime after a network partition caused database failures. Human error caused disruption to British Airways, taking out IT systems, stranding 750,000 passengers, grounding 400 flights, and costing over $100 million. 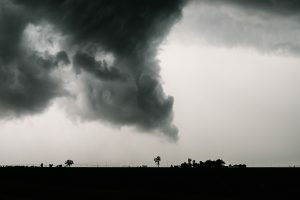 These companies could have avoided the cost and damage to their reputation if they had implemented a disaster recovery plan with a cloud DR provider. In the above examples, a traditional offsite data backup wouldn’t have helped. Backups are essential because data storage is fragile: data that exists in only one place is constantly at risk. Data that exists in two or three places is more robust. Backups reduce the risk of data loss. But backups don’t do much to help with downtime over the short term. To recover from a disaster, data, software, and infrastructure must be replicated. With a backup, a business can recover eventually. With disaster recovery infrastructure, it can avoid substantial downtime altogether. The two most important metrics for disaster recovery are Recovery Time Objective (RTO) and Recovery Point Objective (RPO). RTO measures how quickly a disaster recovery system can take over from unresponsive primary systems. RPO measures how much data is “forgotten” as the system switches to DR infrastructure — it is not possible for two geographically separated systems to be exact replicas, so there is always some lag between the data available to the primary and disaster recovery systems. Before the advent of cloud DR, it was impossible for businesses to achieve acceptable RTO and RPO without massive capital investments in network and server infrastructure. Today, modern cloud DR platforms achieve inexpensively what would have been prohibitively expensive just a decade ago. Cloud servers are more flexible than physical servers, and advanced hypervisors such as vSphere, when combined with cloud-based DR platforms, take advantage of this flexibility to provide fast, inexpensive, and reliable disaster recovery. Without a cloud platform, disaster recovery needs redundant physical servers, whose job it is to wait until an incident occurs. That means buying twice as many compatible servers and paying to power and cool them. On a cloud platform, virtual machine images and data can be synced to a remote region. Because it takes seconds to spin up a cloud server with all the necessary software and data installed, there is no need for DR infrastructure to run until it’s needed. Cloud DR allows businesses to respond faster to downtime incidents. The disaster recovery process is automated, so that failover and infrastructure deployment can occur almost immediately: an automated cloud disaster recovery platform can handle an outage so efficiently that the majority of users are unaware that an outage occurred. Automation also facilitates testing. Disaster recovery infrastructure is only useful if it works as expected. It must be regularly tested so that the business can be confident that it will take over when an incident occurs. On an automated cloud platform, it is easier to run tests, which means testing is more likely to happen at reasonable intervals. Finally, with a managed cloud DR platform, the hard work of building, testing, and configuring the physical and virtual infrastructure layers are taken care of by the vendor. It is difficult to build a reliable disaster recovery platform, but an experienced DR provider like NYI has the experience, the expertise, and the infrastructure. Cloud DR reduces complexity for the user and obviates the need to hire DR experts in-house. To learn more about how cloud disaster recovery can make your business more resilient to human error, hardware failure, and natural disasters, fill out the form below, and we’ll be in touch soon.